Once I’d resolved the Surface Pro 3 had to go, I had to decide what to replace it with. I’ve had a Dell XPS 12 for two years now and love it, apart from one drawback. It’s heavier than a “normal” touch ultrabook because of the swivel screen (it needs a sturdy frame). 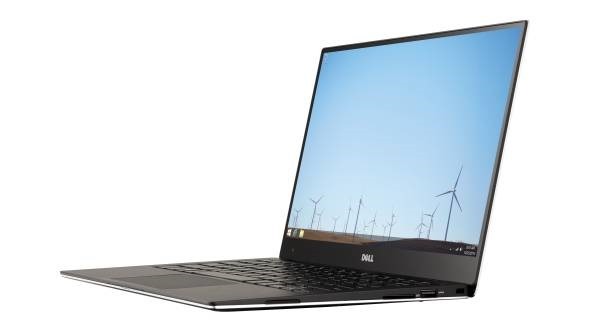 My wife has been using one of the original XPS 13s for three years and it’s wonderfully light, and I bought her one of the new ones with the “Infinity display” earlier this year to replace it. I’d have to say it’s a beautiful machine: the display is crisp and clear and extends to the edge of the screen. Bloody marvelous. So – my reasoning went – if she can have one, why not me? And how is it? To quote myself, bloody marvelous. 1. It’s light and thin. 2. It’s fast – an i7-5500U powers it. 3. The screen is gorgeous and crisp. Color rendition was excellent as far as I could tell with these ancient eyes. I’ll probably calibrate it when I’ve finished with my travels to Build, etc – I have a Datacolor Spyder Pro for exactly that. 4. Excellent battery life. I was finishing off the installs and updates (you can’t imagine how many updates Office 365 Home needs) today, and I did it all on battery power. No issue. After some four hours of this, there was still 20% battery left. 5. No driver issues – I was using a USB Ethernet connection via a USB 3.0 hub with no issues. Even connected an external DVD drive. 6. The trackpad is very responsive, however I still use an external Arc mouse. 1. Because of the resolution of the screen, I’m running it at a larger text size than standard. Windows 8.1 doesn’t actually tell you what it is, but I’m guessing 150% (In fact I can’t read it at 100%.) Bloody hell but we developers have to get it together with non-traditional DPIs. It makes a strong case for browsers and web apps, that’s what it does. 2. There’s no pen digitizer, hence no pen. Can’t say, I miss that from the Surface, but then again, I’m no artist. Same here. 13 diopters. When I take off my glasses I see what I want to see. Almost nothing. I use a similar device but from Toshiba. This device does not offer the same resolution but 2048 * 1152 works. It's better to reduce the resolution and stay 1:1. The native resolution is 3840* 2160. There are still many applications that have troubles with different DPI settings. MS Media Player for example, maybe MS already fixed that. On my gaming PC I also went back to 4k 1:1 at 27". An amazing PC with a cons ... the side panel made of glass juddered. So I took a clamp. Now the computer is almost silent. Solutions can be found for every cons. Touch will work anyway. You will love 16GB.